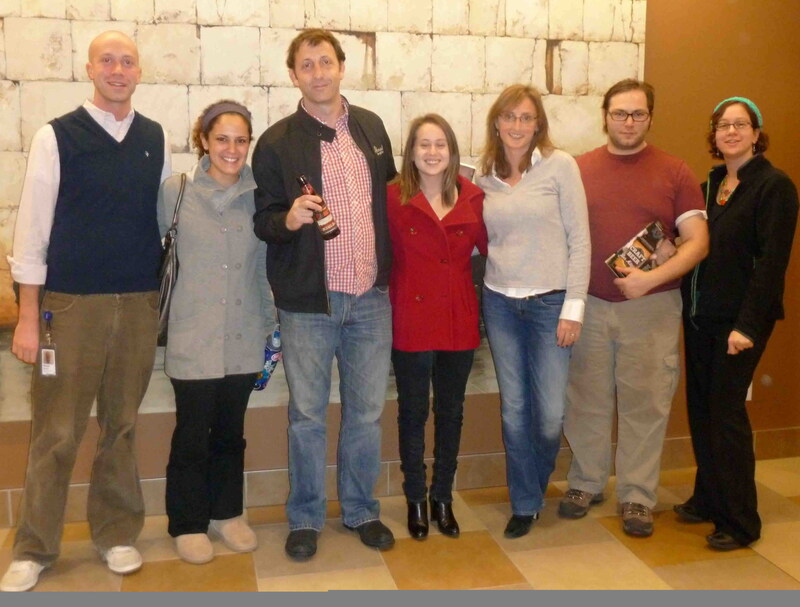 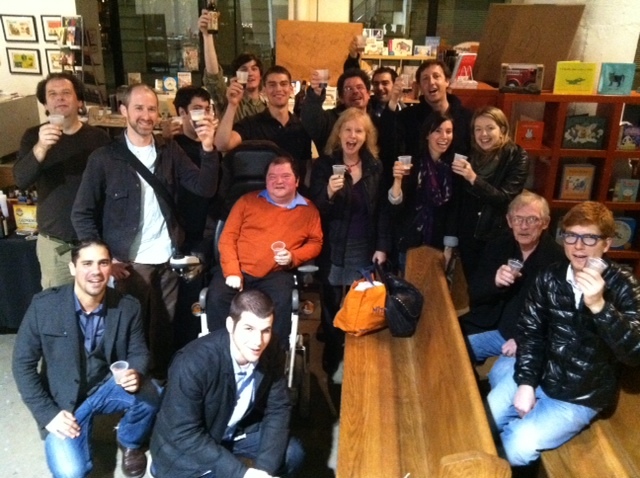 Book Reading and Tasting with Hillel UW Alumni. 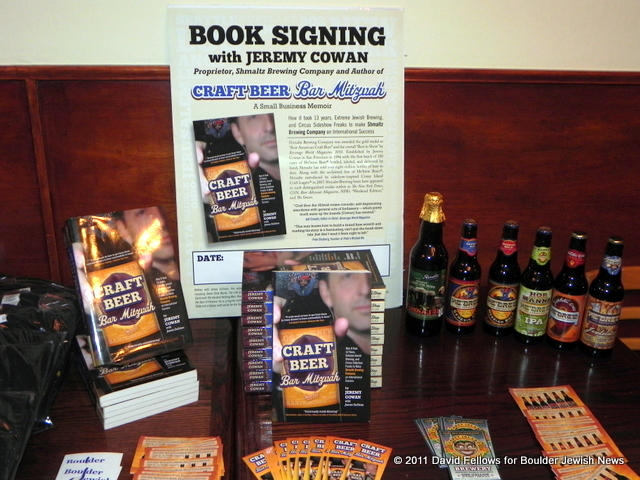 A business networking event featuring Jeremy as highlighted guest speaker. 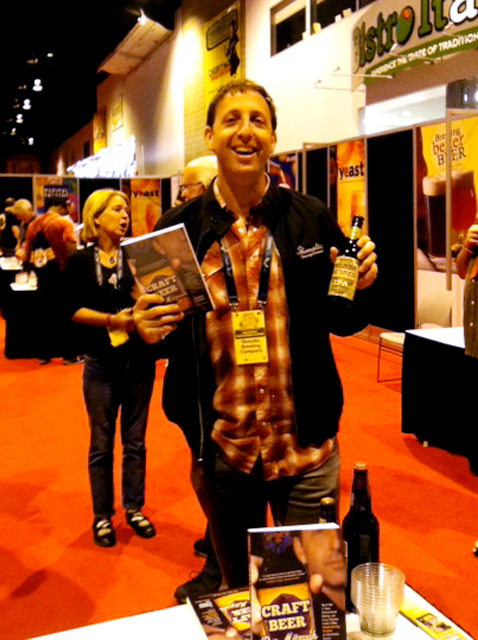 Following a discussion of the origin and journey of Shmaltz Brewing to becoming an international success, Jeremy reads from his book and leads a beer tasting. 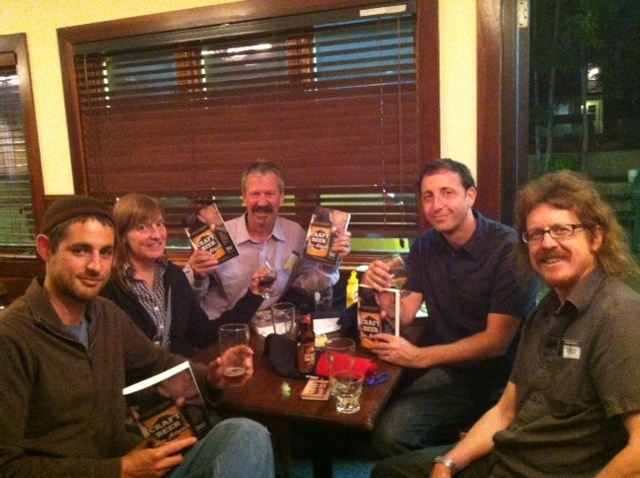 Discussion of the entrepreneurial spirit of starting He’Brew the Chosen Beer, book reading and signing for invited guests. 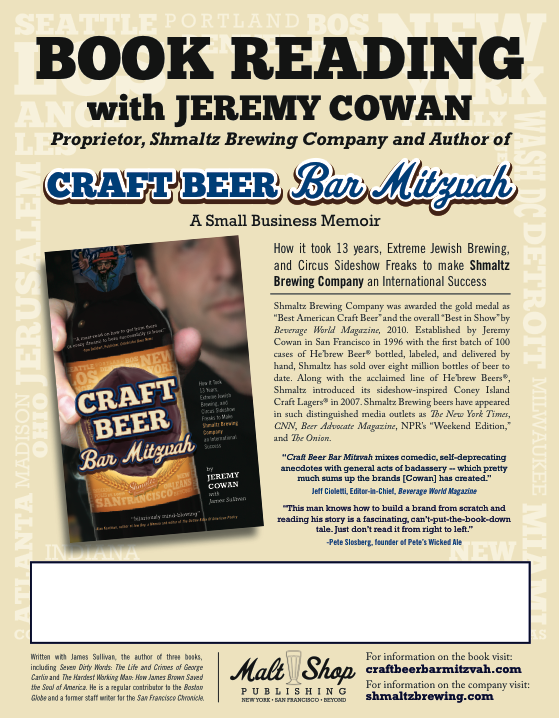 Jeremy is the special guest of the Craft Brew Revue Craft Beer festival, featuring beer from breweries all over the country, including special Shmaltz Brewing selections. 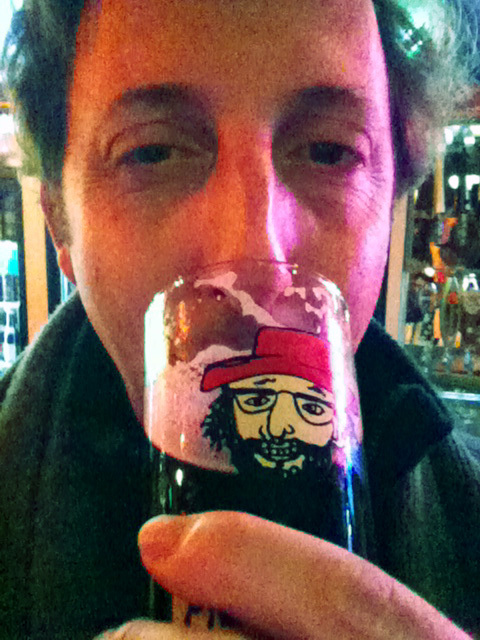 Maginnes Hall, Room 102, 9 West Packer Ave.
Afterparty next door, with Messiah and RIPA on draft, at The Bridge. 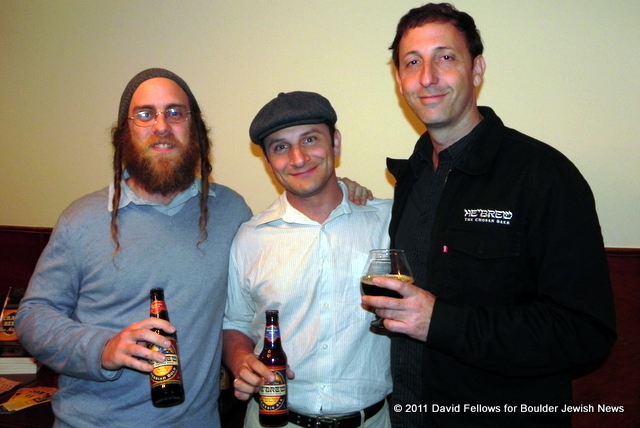 *After-party at THE RHINO (158 Ryman Street) featuring several Shmaltz beers on draft! 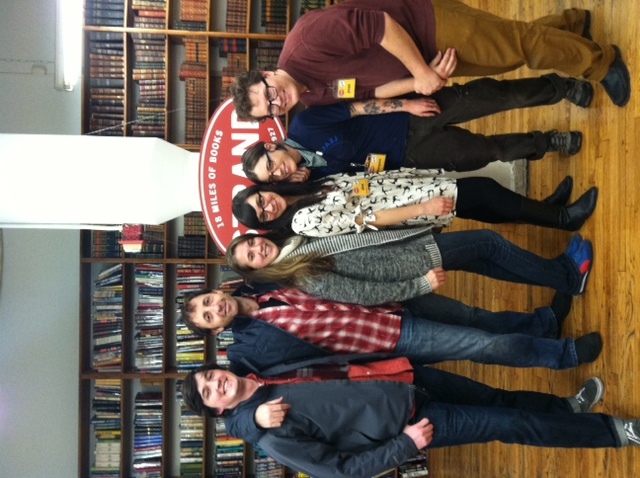 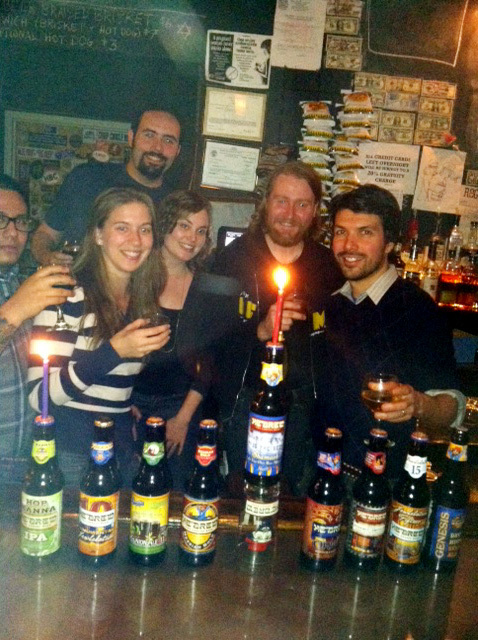 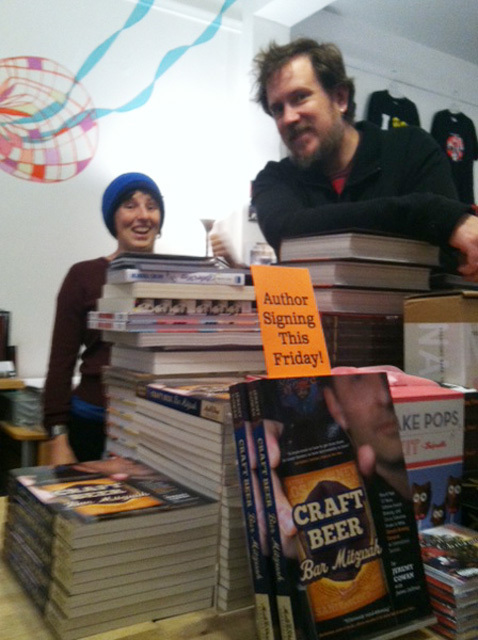 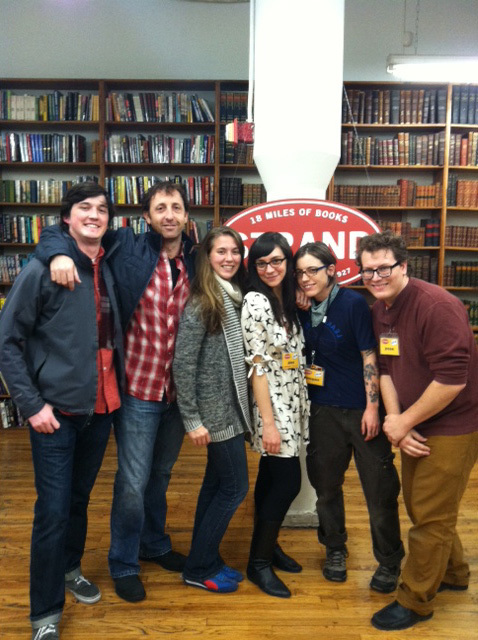 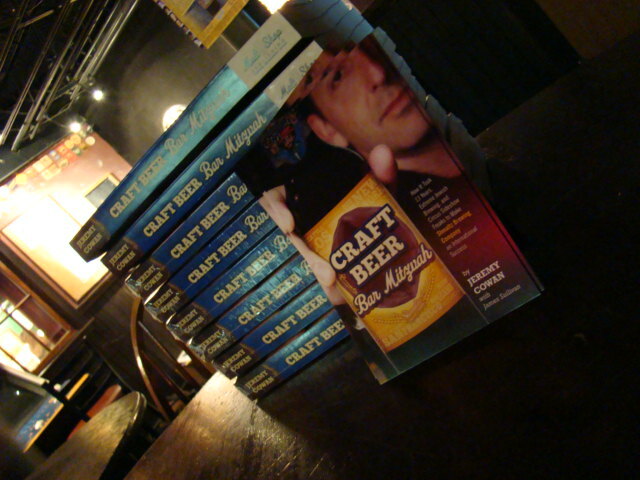 After-party at Church Key in Washington D.C.
Special Reading and Tasting for the first night of Chanukah! 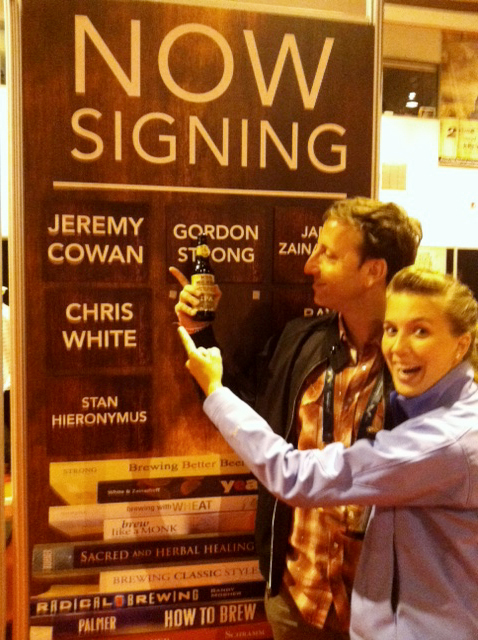 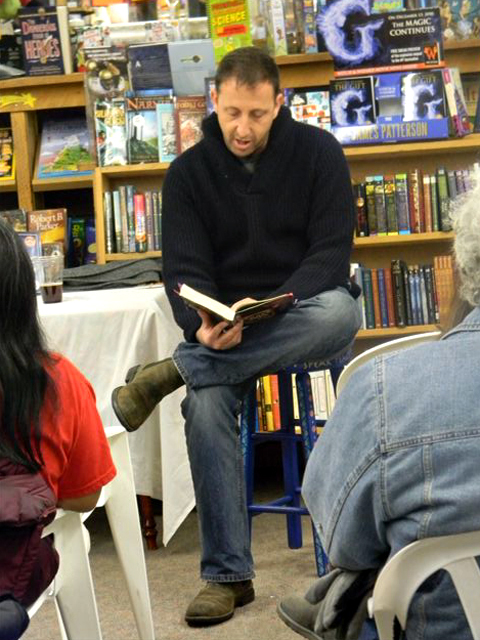 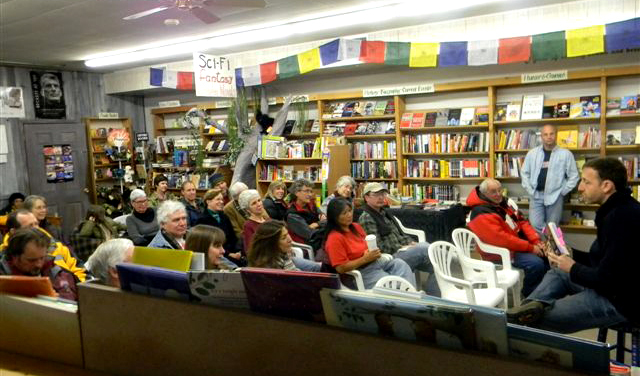 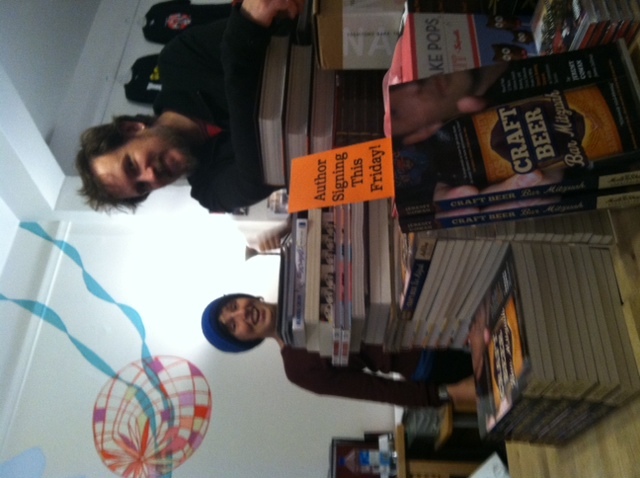 Book Reading, Signing, Tasting Hosted by: Matteo’s, Harmony Books, Tom McCormick & Kim Milligan!